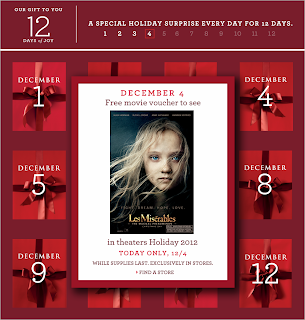 Get a Free Movie Voucher for Les Miserables from BananaRepublic. 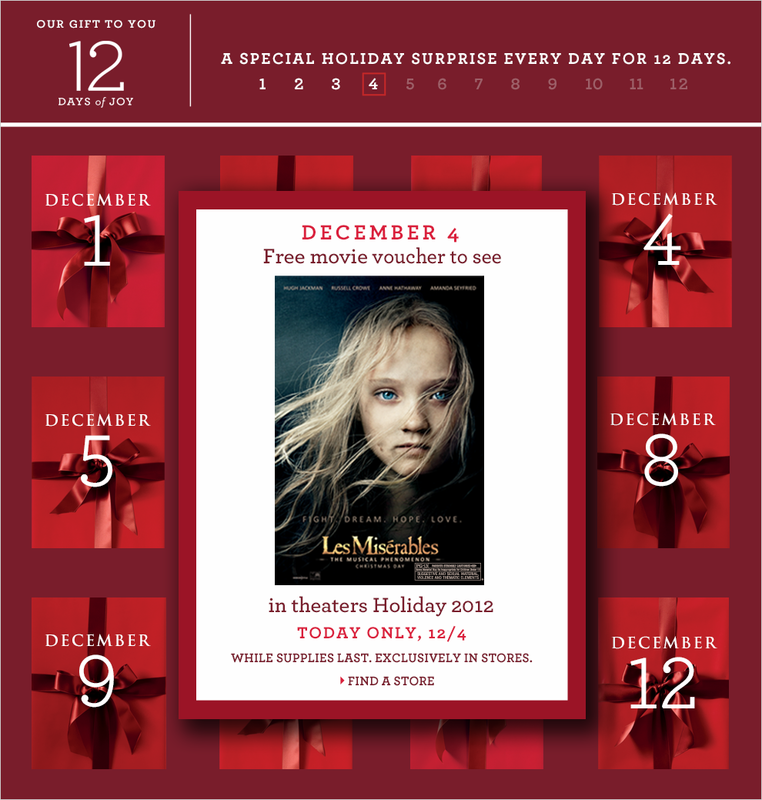 Visit your local Banana Republic store and redeem your free movie voucher today. Les Misérables is the motion-picture adaptation of the beloved global stage sensation seen by more than 60 million people in 42 countries and in 21 languages around the globe and still breaking box-office records everywhere in its 27th year.